In 1916, while the Allied and Central forces waged war in Europe, a group of German saboteurs blew up Black Tom Island, a spit of land in New York Harbor within earshot of downtown Manhattan. The subsequent hail of missiles and gunpowder devastated much of lower Manhattan. The attack-so massive that as far away as Maryland people could feel the ground shake-had been shockingly easy. America was littered with networks of German agents, hiding in full daylight, an enemy within plotting further, deadlier attacks. All the way up to the president, officials had known something like this could happen, and yet nothing had been done.Twenty years later, the German government had still managed to evade responsibility for the crime-and probably would have continued to, were it not for the determination of three lawyers named McCloy, Peaslee, and Martin. These men-most crucially the young John McCloy-made it their mission to solve a mystery that began during the first World War and barely ended before the second. The Detonators is a fascinating portrait of these men and their time, an era in which the rising American establishment engaged the world. It is also the dramatic love story of John and Ellen McCloy, and the first full accounting of a crime and a cover-up that resonates strongly in a post-9/11 America. About the Author: Chuck Liddell first stepped into the Octagon in 1998 and became the UFCas light-heavyweight champion in 2005, a title he held for two years. An accounting major at Cal Poly San Luis Obispo, he still lives and trains in the SLO. 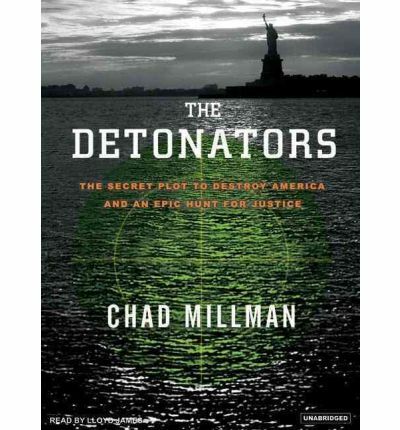 Chad Millman, a deputy editor at "ESPN the Magazine," is the author of "The Detonators" and "The Odds" and coauthor of "Invincible" and "Pickup Artists,"